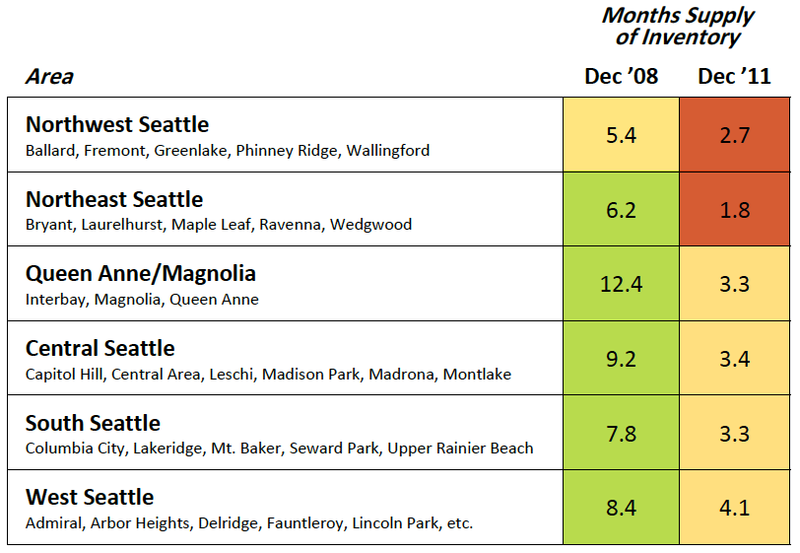 THE AMOUNT OF REAL ESTATE INVENTORY ON THE MARKET is an important indicator as to the health of the market. In 2008, when the market was still & quiet, there was enough inventory on the market to support a buyer’s market. Fast forward three years later to December 2011 and we find ourselves with a lack of inventory. 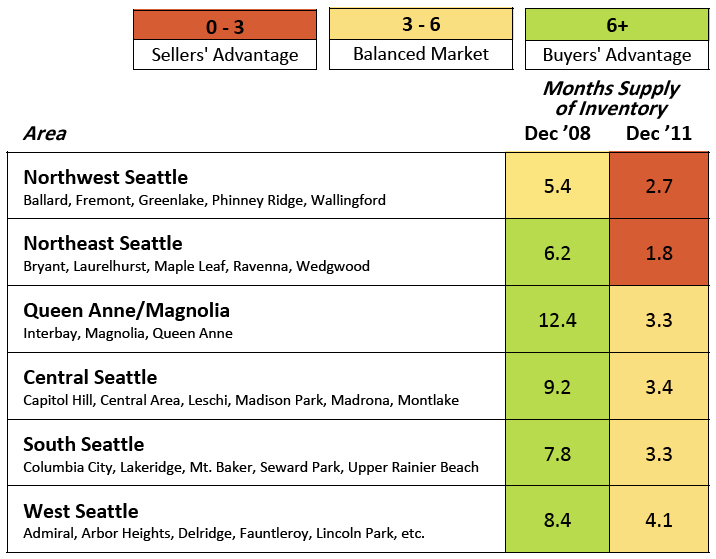 North Seattle is solidly in a seller’s advantage market while the other areas of Seattle are on the brink of being a seller’s market.